I Care, a non-governmental organisation with a mission of solving the problems of street children in South Africa, recently received a donation of Bova safety boots. The organisation’s goal is to instil healthy life skills and a good work ethic in those children that pass through the I Care Cycle, enabling them to become self-supporting individuals and productive members of society. One way in which the I Care Cycle achieves this, is through a skills development programme. The I Care skills development programme has been a way forward for many of the boys who have passed through the cycle, by enabling them to learn a skill of their choice – ranging from carpentry to plumbing. Once the boys have completed their skills programme, I Care assists in finding them internships, apprenticeships or employment opportunities at private sector partners. 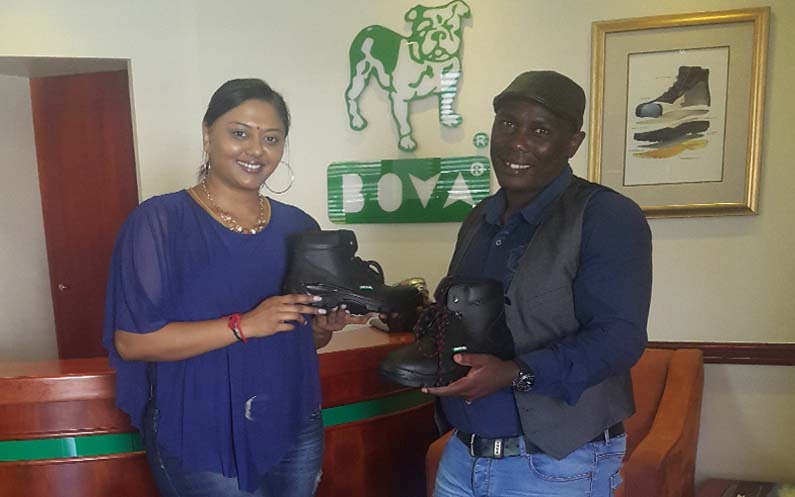 According to Vanessa Ronald, Senior Brand Manager at BBF Safety Group, the donation of Bova safety boots will not only keep the programme participants safe during their training, but help them in securing employment opportunities. “Having the correct safety footwear is often a requirement for interns to secure employment opportunities. As a company, we are committed to supporting individuals and enterprises in the communities we operate in. Through contributions such as this, we are able to impact the lives of young adults by providing them with the equipment they need to succeed in the future,” adds Ronald. Through assistance from corporate partners such as BBF Safety Group, the children are uplifted and empowered to become productive and self-sustaining members of society. As a developing economy, South Africa recognises the importance of a skilled workforce to enable economic growth. Initiatives such as the I Care skills development programme, coupled with the support of corporate partners, contribute to the creation of a nation that can grow in a sustainable manner.